March 11th, 2014 –The use of VICTREX® PEEK polymer, a type of PAEK or polyaryletherketone thermoplastic, in composites is helping the Oil & Gas (O&G) Industry to successfully surmount the challenge of the increasingly difficult operating conditions it now encounters. In today’s daunting production environments, VICTREX PEEK polymer-based composites demonstrate capabilities beyond those of more traditional materials such as thermosets, aluminium, steel, and titanium. Furthermore, proven Automated Fibre Placement (AFP) technology, available from the US-based company Automated Dynamics, enables VICTREX PEEK-based composites to be built layer by layer which enhances part production efficiency. Both Victrex Polymer Solutions (Hall 7.2, Booth F41) and Automated Dynamics (Hall 7.3, Booth M 63) will attend the JEC Europe 2014 show, from 11-13 March, in Paris. The latest production methods in the O&G industry are placing increasingly severe levels of stress on equipment. The production tools are required to last anywhere from ten to twenty years in extreme operating conditions that include higher temperatures and pressures. In addition, the latest techniques such as measurement while drilling (MWD), logging while drilling (LWD), and wireline systems can involve critical electronic data transmission so the reliability of the tooling is imperative. VICTREX PEEK polymer is proving to be capable of answering these new challenges. A case in point is VICTREX PEEK 450G, which exceeds the NORSOK M710 specification with an H2S concentration ten times that required for compliance with the standard. The thermoplastic also demonstrates superior resistance to harsh and corrosive chemicals which are often responsible for production delays. In fact, the superior properties of VICTREX PEEK polymer have been tested and documented for more than 35 years. Going forward, unconventional drilling sites that require the use of high-performance antenna and logging sleeves will only serve to emphasize the need to use VICTREX PEEK-based composite materials. The many advantages of these composites over metals include high strength, stiffness and reduced weight. 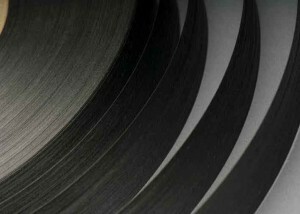 VICTREX PEEK-based composites typically weigh 40% less than aluminium, 55% less than titanium, and 70% less than steel. 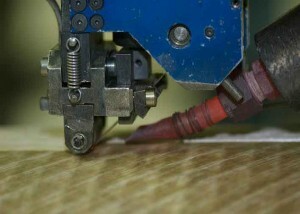 The immediate benefits are easier installation and faster, more efficient operation. Add to these advantages low thermal expansion, which can be one sixth that of steel. Together with the polymer’s overall dimensional stability, this expansion rate enables tighter tolerances that support precision manufacturing. In addition, VICTREX PEEK-based composites can combine high electrical resistivity with low electromagnetic interference (EMI) making them suitable for well logging tools that require composite structures reinforced with fibre. 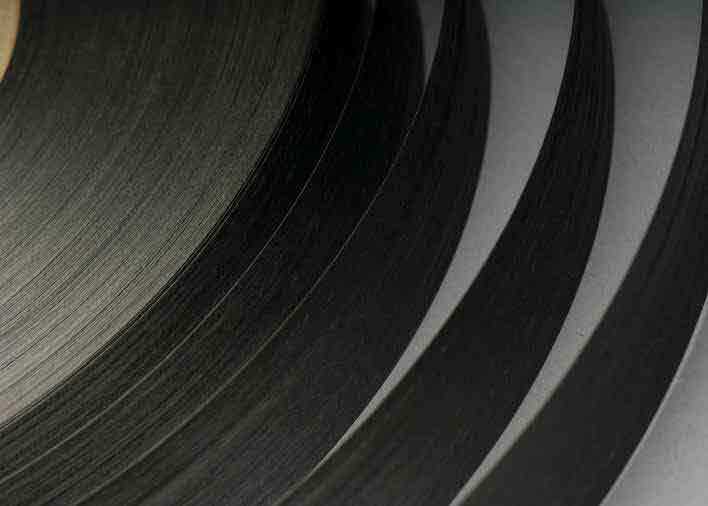 Thermoplastic composites have proven to be more durable in high pressure/high temperature (HP/HT) applications or wherever high chemical resistance is required compared to thermosets. Given the proven track record of VICTREX PEEK-based solutions, the long-standing AFP technology available from Automated Dynamics enables composites to be built layer by layer in an automated process. This has numerous advantages over curing by autoclave and – with the addition of a laser heating capability – enables up to a ten times improvement in throughput in certain applications. Another major advantage of VICTREX PEEK-based composites is their hydrolytic stability with moisture absorption limited to about 0.2%. Thermosets, in contrast, typically absorb 2% moisture, precipitating dimensional instability and cracking. 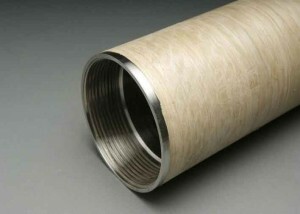 Thermoplastic composites will also support metal-to-composite interfacing. Automated Dynamics has also successfully used PEEK-based APTIV® films as a joining technology for numerous applications. The outstanding properties and manufacturability of VICTREX PEEK-based composites enable their implementation in numerous downhole and subsea applications. Further development of PEEK-based materials is expected to keep pace with the increasingly severe demands of O&G environments. The industry can remain confident that testing of VICTREX PEEK-based composites in extreme environments will continue to deliver excellent performance results making it the material solution of choice whenever an alternative to metals and thermosets is required for critical O&G applications.